It's been a while since I have written a blog post about CLL. As most of you know, both my husband and my mother-in-law are in remission and doing well with Venetoclax. I enjoy being less CLL-absorbed during our periods of smooth sailing. At diagnosis, you can't imagine that you'll ever go a day without thinking about it. But you will. You learn to live with the reality that there will likely be future bumps in the road of this journey and you just get on with living your life when things are going well, as they are for us now. For those of you reading this who have not visited my blog before or do not know me personally, my husband was diagnosed in 2007 and his mom in 2008. They are currently 63 and 85. We've weathered every CLL storm. And life is good. As an online friend told me back in 2007, "You will adjust to your new normal." I'm blogging about CLL (chronic lymphocytic leukemia) today because the CLL Society is in the planning stages of forming a new patient support group for the Nashville area and I have agreed to be one of the facilitators of this group. A Patient Education Forum is being planned with Dr. Ian Flinn at the Sarah Cannon Cancer Center for January 20. It has been announced as a "save the date" event and will be updated with more information as details are finalized. 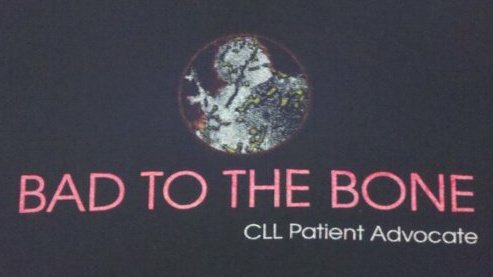 For anyone unfamiliar with CLL Society, you can click on the links I've attached and read more about it. If you are interested in participating in the Nashville CLL Patient Support Group, as a patient OR caregiver, please click here to contact CLL Society, and/or take a quick survey to share your availability and preferences. Please also feel free to share this blog post with others on your Facebook pages if you think anyone you know may be interested!